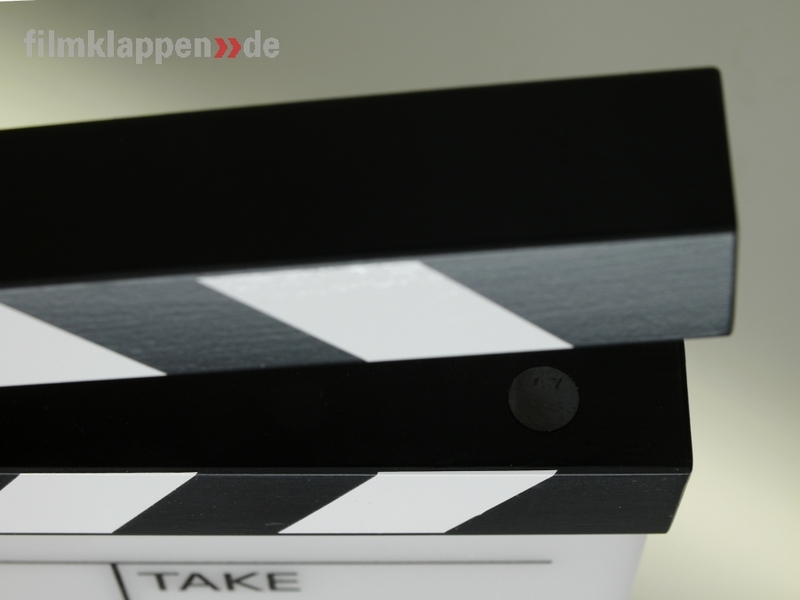 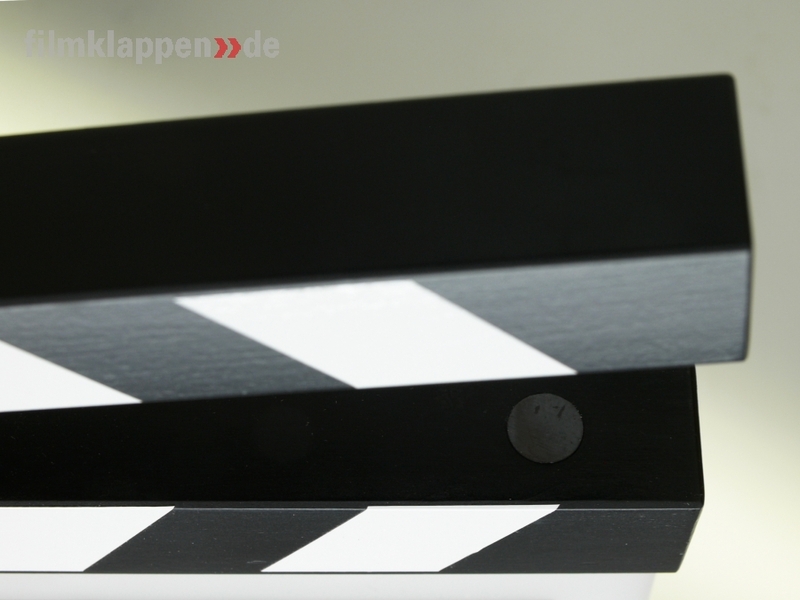 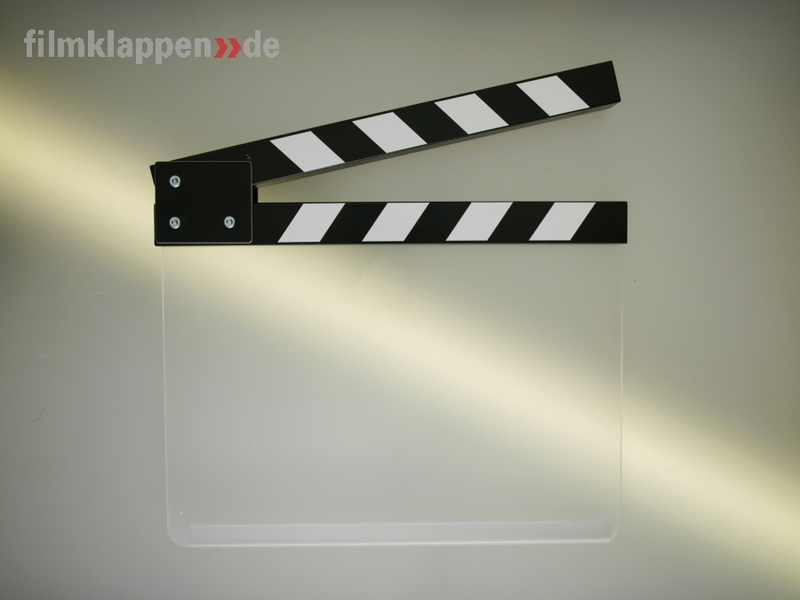 The HighQuality-Version of the Clapperboard meets perfectly the demands of a professional filmproduction. The HighQuality-Version of the Clapperboard, meets perfectly the demands of a professional filmproduction. 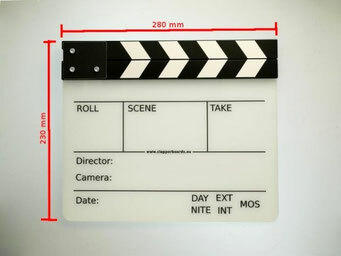 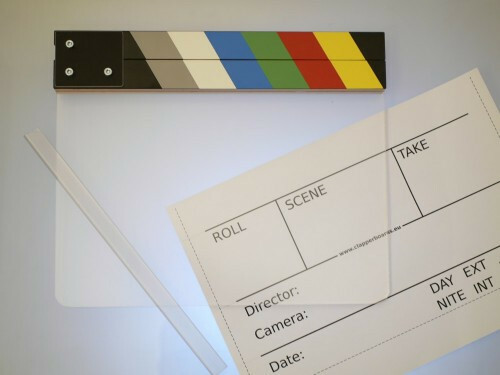 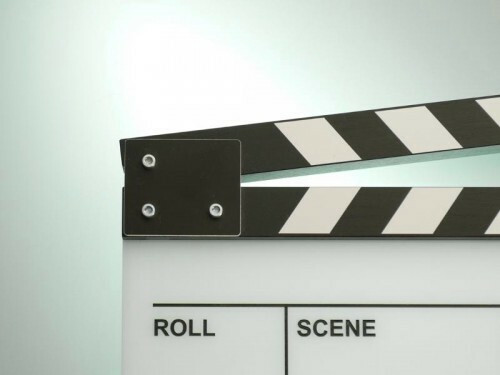 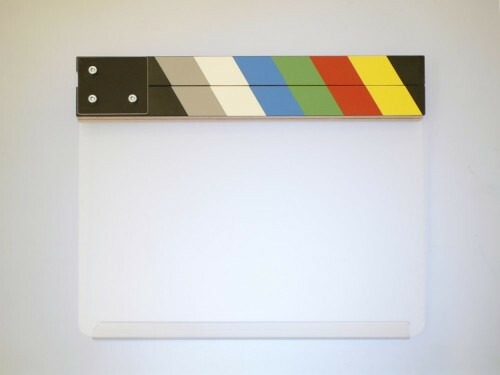 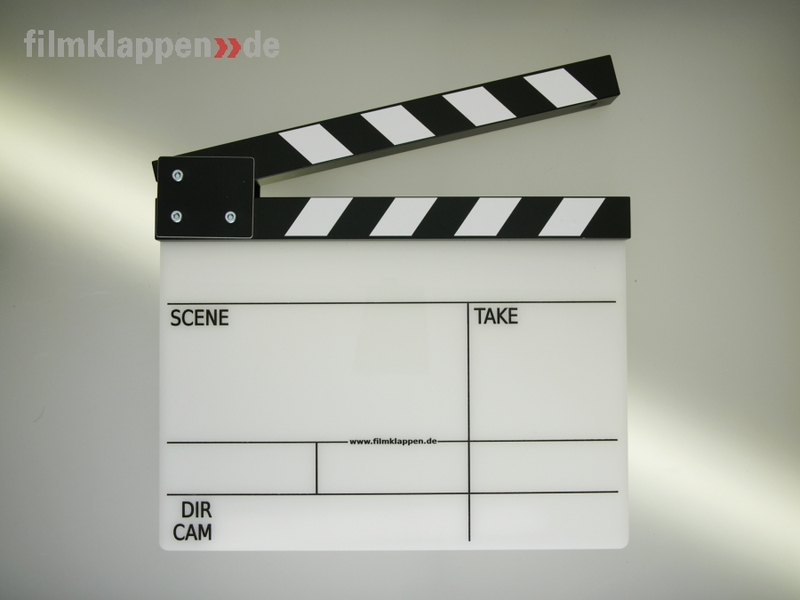 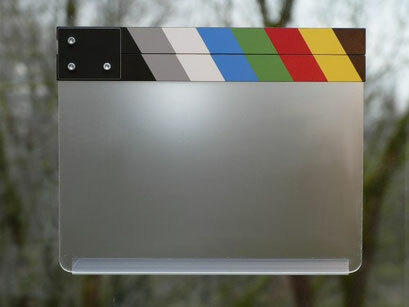 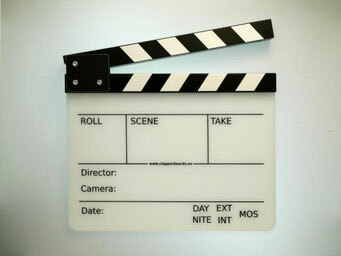 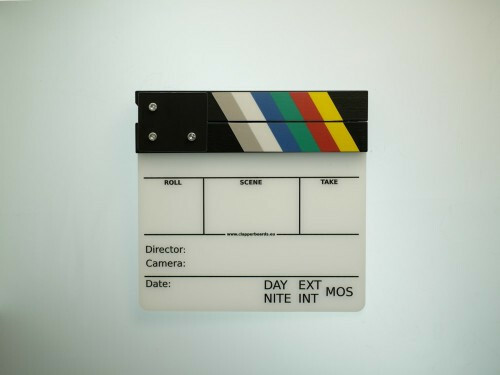 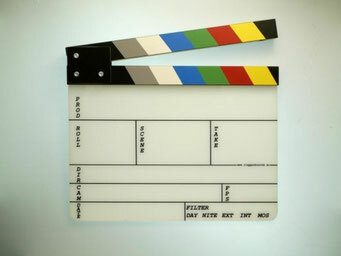 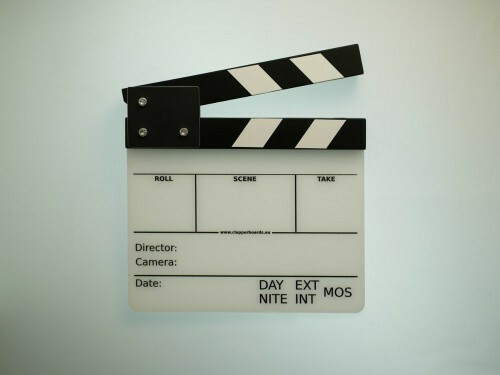 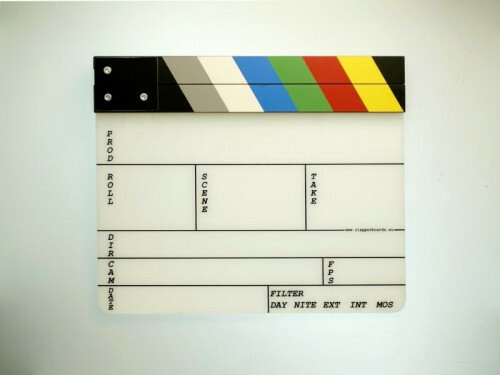 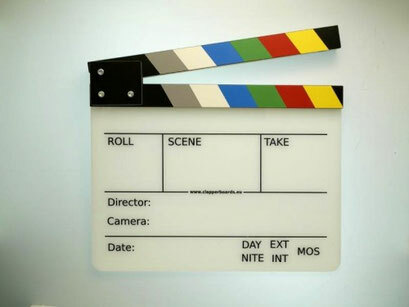 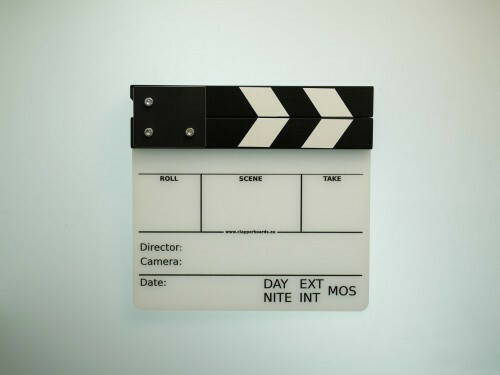 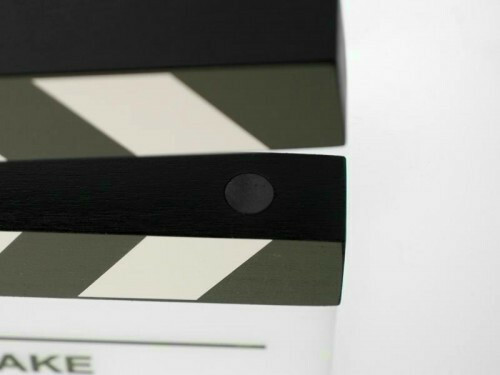 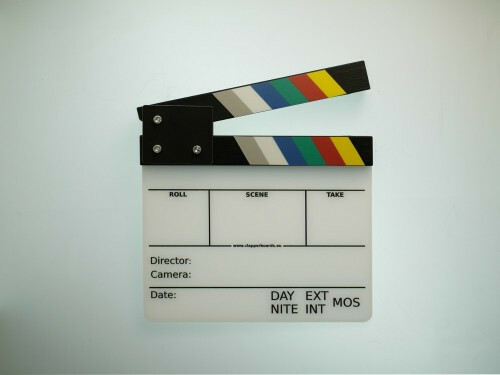 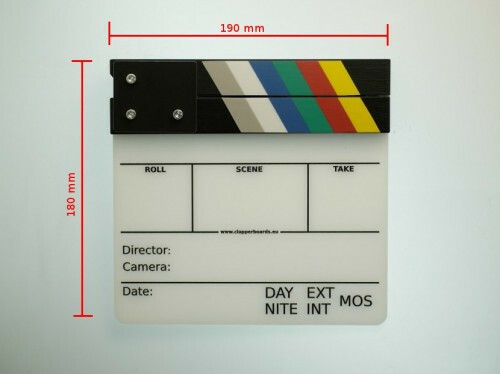 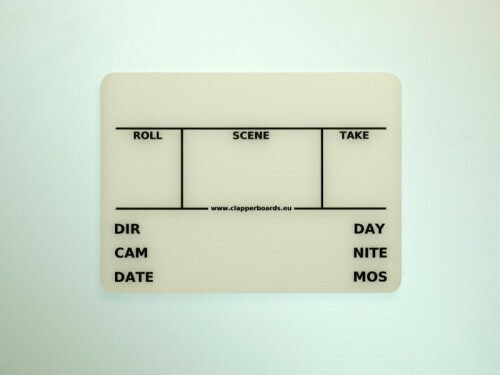 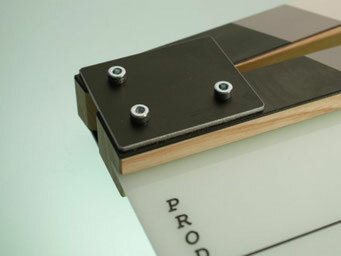 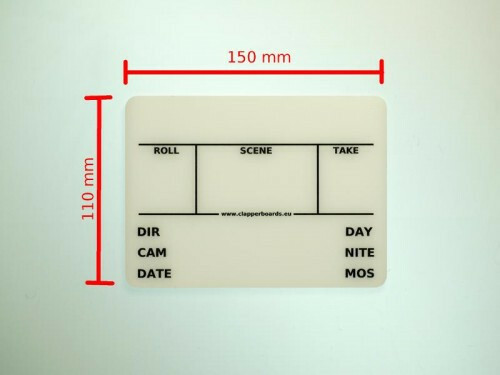 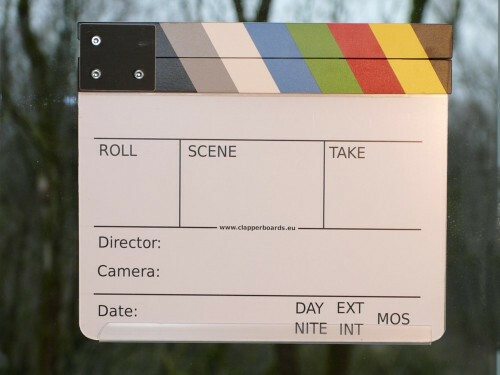 The Economy-Version of the Clapperboard with the classical layout; despite the reasonable price, this is a top-quality slate and manufactured for long-life operation. 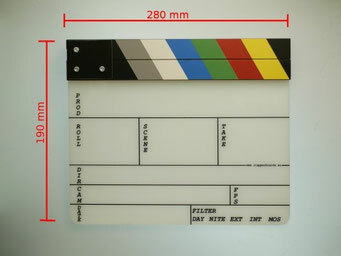 The Camera Slate b/w "LaBelle" has an alternative layout similar to the Panavision slates. 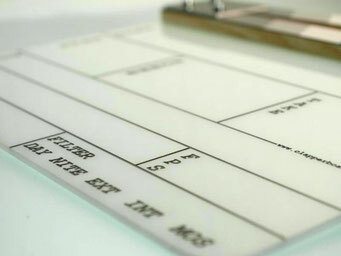 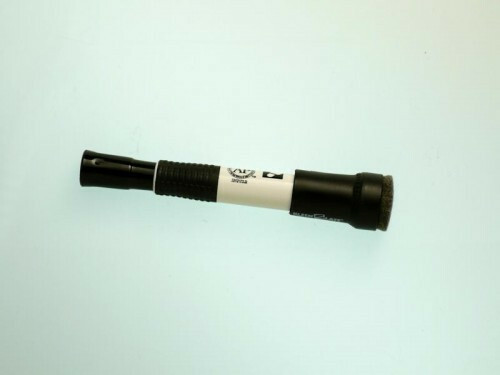 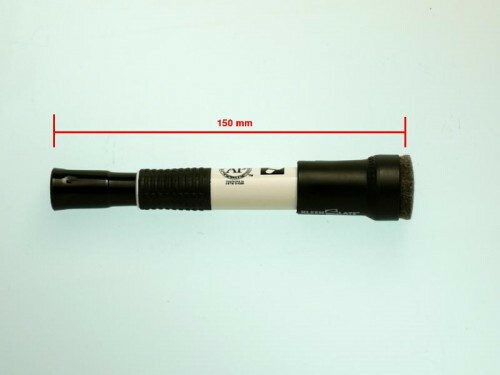 It is a top-quality slate and manufactured for long-life operation. 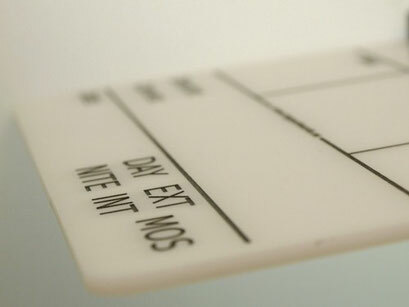 The Camera Slate s/w "Blank" has one acrylic plate without any engraved layout for the ultimate freedom in design. 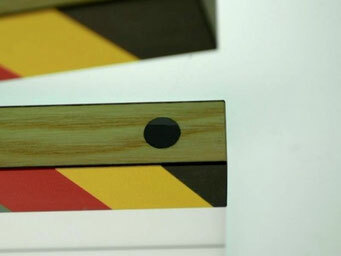 Sticks and all other features match the camera slate b/w "Eco". 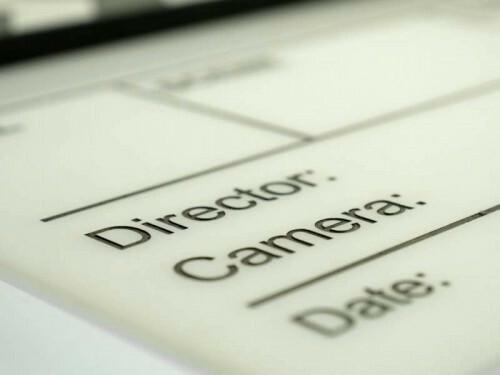 With the "HQ Clear" Camera Slate it is very easy to realise custom design, to integrate produktion logos or printed names of the director or DP by putting a printed sheet between the two plates. With the b/w "Clear" Camera Slate it is very easy to realise custom design, to integrate produktion logos or printed names of the director or DP. 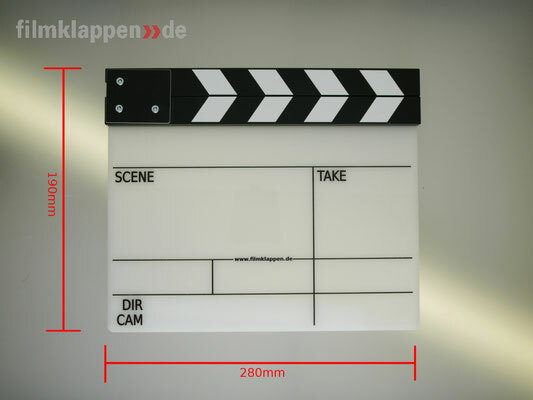 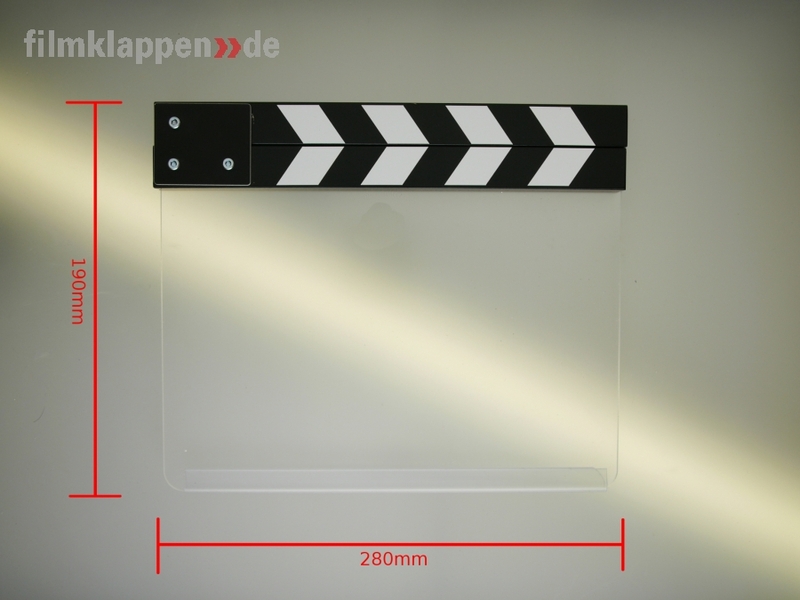 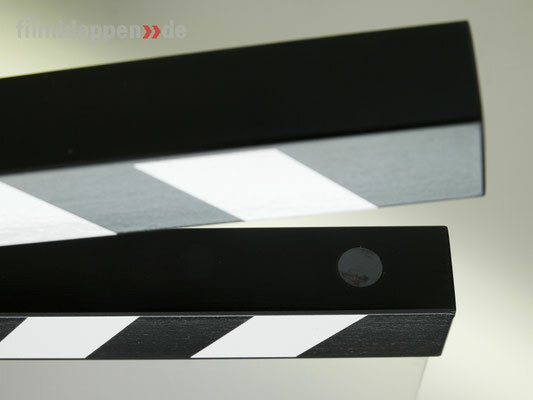 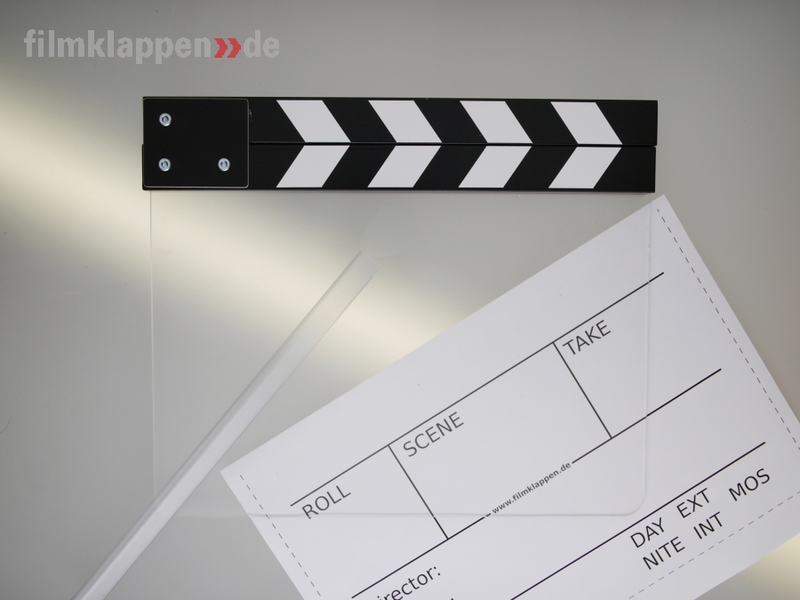 The HalfSize-Version of the Clapperboard, for detail shots, fits in every assistents bag. 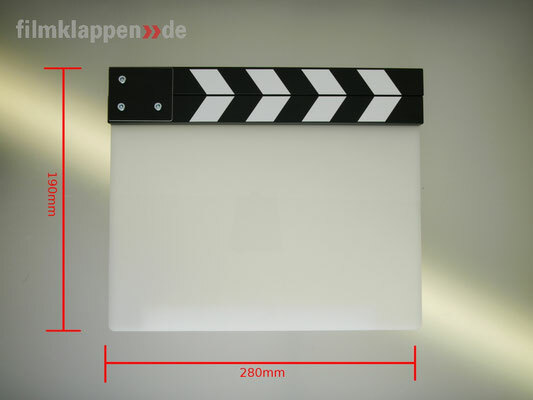 The HalfSize-Version of the Clapperboard same version, just with black and white stripes. 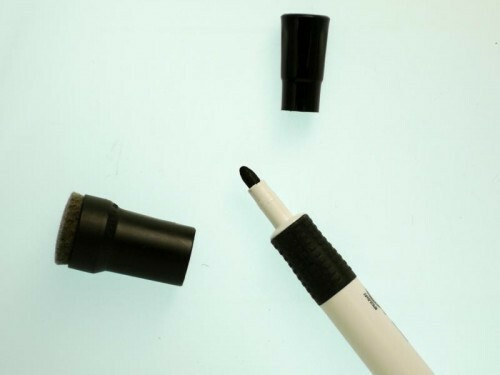 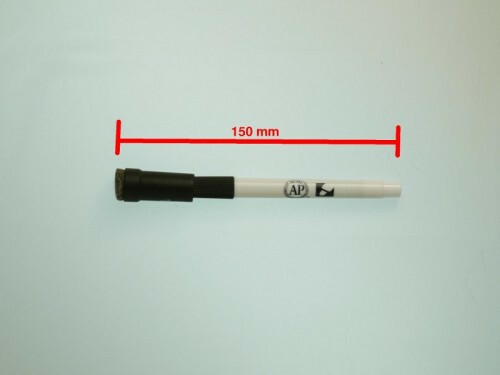 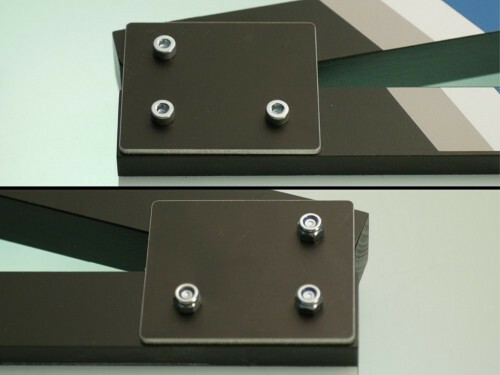 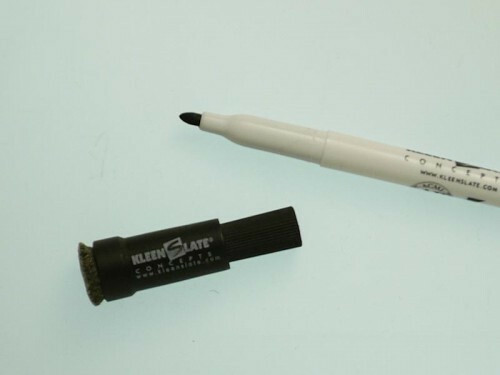 Insert slate without sticks for MOS detail shots.